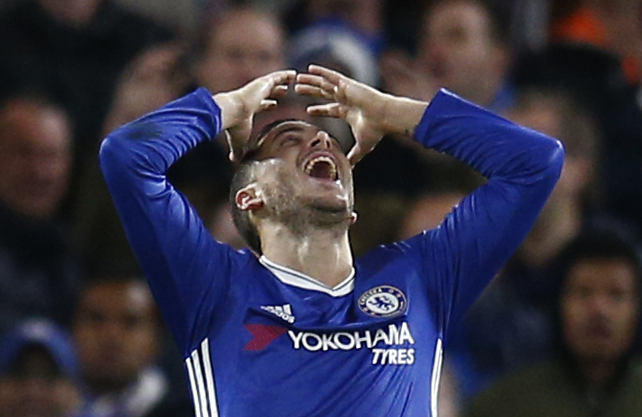 Chelsea’s awful title defense came to an end on Sunday, when the Blues suffered a miserable 3-0 defeat away to Newcastle United. The loss means that Chelsea will assuredly miss out on Champions League football next season, and will have to settle for the Europa League. A fifth-place finish was on the cards from last week itself, when their draw meant that Liverpool had to lose, whereas they had to win their final league game in order to have some hope of Champions League football. The 4-0 results to the Merseyside team, coupled with Chelsea’s defeat, spelled an end to those hopes. The lack of Champions League football may have some fans worried about the London side’s potential to attract world-class talent in the upcoming transfer window and more importantly, holding on to their own stars. Eden Hazard is the player most linked with an exit, but what the Belgian did after the full-time whistle proves just how much class he has. Freelance journalist Dan Levene spotted the incident, and tweeted the following: “One or two of Chelsea’s players try to bolt down the tunnel on full time, but Eden Hazard steps in to direct them to the away end. A brilliant gesture from the forward. Now the question remains whether or not he’ll decide to stay on with Chelsea and slog the next season bereft of Europe’s top-tier tournament or join a bigger club. If he does leave, today’s antics show that Chelsea will be left without more than just his on-field antics.